The National Digital Inclusion Alliance (NDIA) is now gearing up to expand the reach of its annual Digital Inclusion Week (previously held in May of each year) by joining forces with the Australian Digital Inclusion Alliance (ADIA) to create International Digital Inclusion Week #IDIW2018 (October 15-21, 2018). Digital inclusion encompasses several advocacy areas that enhance the lives of citizens through technology. Digital inclusion can help government, corporate and nonprofit entities to increase recipient self-reliance. This includes a helping hand to those underserved by technology to allow more citizens to help themselves. 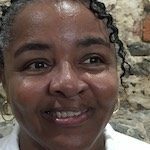 How does digital inclusion influence self-service? There will always be a number of people who resist using technology; this cannot be avoided. However, many people wish they could use technology better. For example, depositing a check on a smartphone is a neat option compared to fighting traffic to stand in line at the bank. Also, you can check your social security account, track expedited mail or verify that your utility billing is current, all online. These are modern conveniences many of our parents never dreamed of. With self-service, transactions are trackable and immediately confirmed on both sides for trust and quality assurance. Digital services that are well-delivered keep call volumes lower and lines shorter. And, as utilizing technology leads to discovery, these ‘do-it-yourself-ers’ are more likely to enjoy higher overall digital literacy. Think about all of the digital tools and resources that are available to your clients or customers. Some people are able to use them, but what about the ones who cannot? They could miss discrepancies until the next billing cycle. If their accounts are compromised, they won’t know quickly enough to stem losses. They may miss emergency notifications if they only receive monthly paper statements. They will be unable to manage their accounts themselves if they are in the hospital or otherwise unable to come to your office. In other words, they are completely missing out on a benefit that you offer – like buying a sandwich and only being able to eat half of it, as the rest simply vanishes. With today’s trim budgets, you may also lose the return on investment (increased efficiency). Sukand Ramachandran, Hrvoje Jenkac, Nicholas Clark and Pierre-Marie Despontin of the Boston Consulting Group (BCG) co-authored a set of sensible strategies for digital customer services. Along with the analysis of data, they suggest that we take observed behaviors into account when planning tech-centered customer service initiatives. They also suggest that call centers be transformed somewhat. 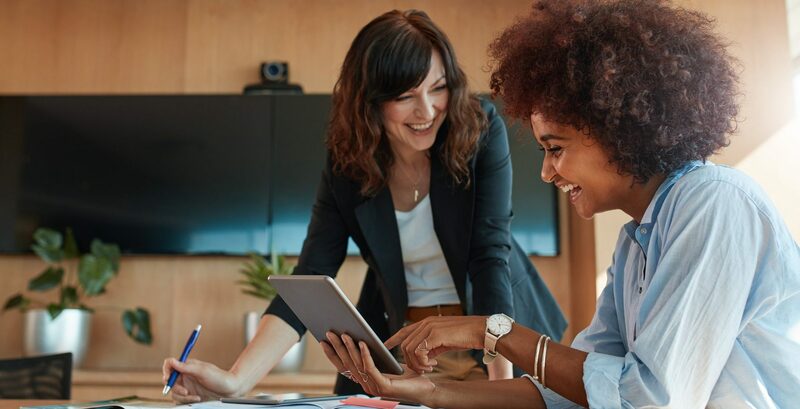 In Four Ways to Improve Digital Customer Service, the team covers how to overcome obstacles to client adoption of digital self-service. First, it is necessary to examine patterns of behavior that will help you visualize the paths of least resistance to successful self-help resolutions. Next, leverage the skills of your customer service or call center to provide introductions to resources and remote assistance and seize opportunities to let your customers know about their options. Third, make it clear to your clients that a human being is but a click, call or email away; never make it difficult to reach non-digital help. Fourth, examine the paths clients take to notice where abandonment happens and try to address the reasons why. Kempton cited the preparation, execution and review of processes for Hurricane Florence as just one of many opportunities to generate a list of lessons learned in the ongoing quest toward continuous improvement of exceptional service delivery. Frustration and failure erode trust even during the best of times. People in crisis with urgent needs will measure the track record of any system they must use against past experience. They may voluntarily delay getting help until they can speak with a live person, to their detriment. Protect and secure the personally identifiable information (PII) of your customers or clients. Also, be sure that access to services is geographically diverse. You should also employ redundancy and other features to ensure maximum uptime, server response and reliability. Provide payment options such as credit and debit cards, which are convenient, familiar, and support financial accountability. Begin incorporating moves to make Digital Inclusion an aspect of your operations. Have team members invite clients to ask for walk-throughs or remote guided sessions during calls. Host a community week with scheduled seminars and fun days that deal with digital service resources. Seek out the digital coaches among your crew who get satisfaction from helping others to understand technology. Set aside time to launch new products and services with outreach demonstrations. You can even consider this or next year’s International Digital Inclusion Week (October 15-21, 2018) as a launching pad. Integrating a Digital Inclusion focus will go a long way towards enhancing the partnership between your team and the community. 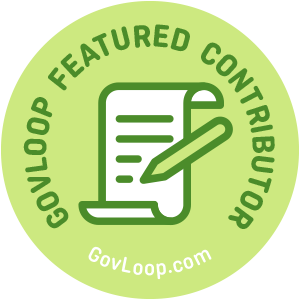 Anita Davis is part of the GovLoop Featured Contributor program, where we feature articles by government voices from all across the country (and world!). To see more Featured Contributor posts, click here.